The study, published last month in JAMA Internal Medicine, found that 37.5% of the 6,539 patients reviewed were receiving the anticoagulant warfarin and aspirin without a clear indication, and that these patients were at a significant increase in adverse outcomes. At the moment, the laws on this topic are very dependent on where your facility is located, and you should take the time to look up your state laws. This Q&A is meant to clear up some of the broader questions around medical cannabis in healthcare—for patients as well as healthcare employees. Under the changes first proposed in September 2015, EPA is creating a new subpart P under RCRA that manages hazardous waste pharmaceuticals across a wide array of industries, including hospitals, physician offices, ambulatory care, and other providers who “distribute, sell, or dispense pharmaceuticals, including over-the-counter pharmaceuticals, dietary supplements, homeopathic drugs, or prescription pharmaceuticals,” according to the EPA. 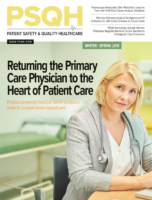 To minimize the potential for dangerous complications or the need for readmission, medical facilities must take steps to ensure clear communication practices. In July, CDC researchers published a study in JAMA Internal Medicine that found inappropriate prescribing of antibiotics for respiratory conditions was highest in the urgent care setting at 45.7% of patient visits. Emergency departments were the second highest at 24.6% of patient visits. Relatively few medications are dosed weekly; thus, accidental daily dosing of oral methotrexate has occurred all too frequently. This type of wrong-frequency error has originated in all stages of the medication use process, from prescribing to self-administration. The discussion at The Joint Commission’s 2019 Executive Briefings on medication management was one of the most far-ranging, with questions on medication compounding, opioids and painkillers, and syringe use asked and answered. The survey of more than 90 Vizient hospital and health system leaders found that 64% of hospitals have increased investment in opioid medication management in the last 12 months.